We feature free Virgo horoscopes and astrology forecasts for Virgo today, weekly, this month and yearly. 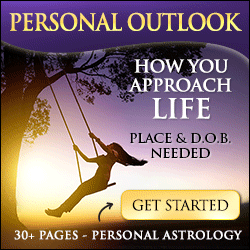 Virgo daily horoscope are featured by astrologer, with reviews of each astrology website. We do the same in our Virgo weekly horoscope and monthly Virgo horoscopes and astrology forecast links as well for men and women, single or couples. We've scoured the internet to bring you the best Virgo horoscope forecasts and predictions online, including 2019 Virgo yearly horoscope forecasts for the whole year ahead. Why not have a look at the Virgo love horoscopes too for insight into male and female Virgo astrology in relationships. The Virgo sun sign is the 6th sign of the zodiac in astrology. Well known for their characteristic discrimination, hard working tendencies and service, Virgo is symbolized by the virgin, or goddess of the harvest. As one of the earth signs, the Virgo sun, moon or rising sign possesses depth. Having mutable cardinality makes Virgo flexible and adaptable. Virgo is ruled by the planet Mercury, the messenger. This brings gifts to Virgo in communications and commerce, which may appear in Virgo rising as well or those with moon in Virgo in their natal chart. The sign of Virgo is often associated with Chiron, the healer, as well as Mercury, the communicator. In relationships, a Virgo man or woman can be quite charming but is often seen as cold, or even Vulcan on the surface. These folks run deep though and this surface appearance may mask a deep sensitivity and desire to help others. This is because Virgo (female or male) is very precise and often fussy, critical and filled with worry. In fact, Virgo cannot help noticing what is wrong in most situations because of their characteristically keen insight and discrimination. They can't help but see the needle in the haystack, often missing the haystack! A Virgo man or woman strives for perfection, but of course this is unattainable. However, their attention to detail, tendencies to serve and wish to be useful bring many gifts to Virgos and partners who are close to them. Generally considered the most service oriented of the zodiac signs, Virgo men and women are very sensitive with strong feminine (yin) energy. Their symbol is the only female in the zodiac. In love, Virgos make excellent husbands and wives and are very affectionate when they feel safe and close to their partner. Sexually, Virgo is anything but Virgin and their partners may find themselves with a lover who will go to great lengths to find exactly what pleases them. This characteristic of service is one of their most wonderful traits! Spiritually, Virgos seek to manifest the divine in the material world and go inward to discern meaning. Virgos are keen analysts. They are perhaps the most analytical sign and quite adept at communication and in business. Virgo thrives and excels in in management, technology, writing and teaching professionally. More tactical than strategic, Virgo makes an excellent second in command which suits their shy tendencies and characteristically modest nature. If you would like to know more about the astrology of Virgo sun sign, moon sign and rising sign, visit our brief zodiac astrology primer or our more in-depth look at what's behind horoscope signs of the zodiac. For even deeper information from the best astrologers on the web, including free Virgo horoscopes and astrology forecasts daily, weekly, monthly and yearly, follow our links and be sure to visit our home page at free horoscopes and astrology. We think you'll be thrilled to see how many good Virgo astrology forecasts and free Virgo horoscopes and predictions we've gathered together in one convenient place to save you the trouble of searching! Our description of the sign of Virgo is only a brief overview. For much more information about the sun, moon and rising sign of Virgo in western zodiac astrology, we recommend the following astrologers. Whether you speak Francais, Deutcshe, Espanol, Dutch, Svenske, Portuguese or Anglaise, virgo, we've got the best virgo horoscopes online!